A FIVE hectare blaze at Severnlea has been brought under control. Two urban and five rural crews responded to the call out just before noon with the grass fire coming within metres of several homes. As flames crept closer to the Severnlea Uniting Church, crews were able to douse it and spare the church and neighbouring properties. One vehicle was burnt out, but no other significant damage was done. 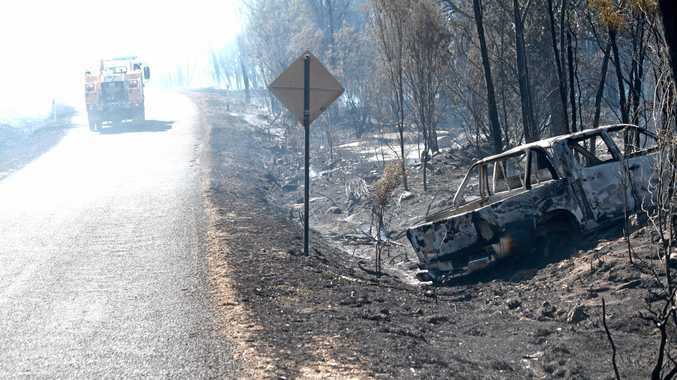 A Queensland Fire and Emergency Services spokesman said crews would remain at the scene to undertake some back burning. No cause has been determined as yet with investigations continuing. Crews were also called out to Eukey Rd, Ballandean, today. QFES said rural fire fighters were on the scene and containing the small blaze.